We carry out all manner of electrical work for industrial premises and factories including complete wiring projects. We supply Electrical Installations and high-quality services like BMS and Smart Lighting to all types of commercial businesses. We carry out house rewiring, extra electrical sockets, the creation of a home office (extra power, BT sockets and air conditioning) and shower installations etc. If you have any questions please do not hesitate to contact us on 07812 348323 and we will assist you. 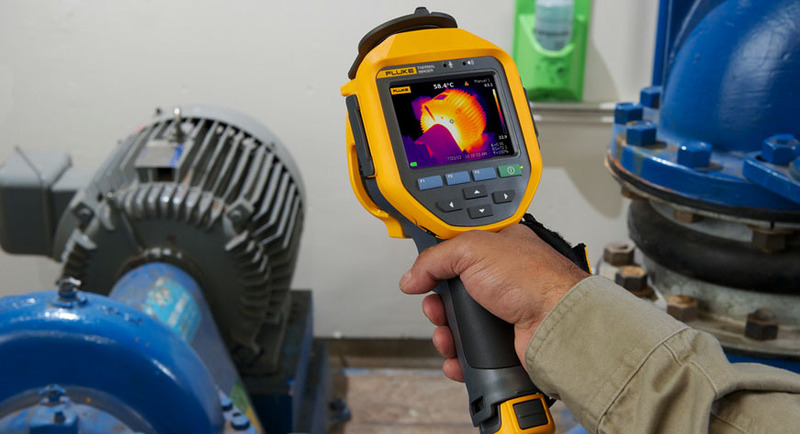 The use of thermal imagery assists in the non-invasive fault finding in many applications. Whether it be in electrical installation, underfloor heating issues or simply pinpointing faulty circuit breakers within a fuse board, this allows minimal disruption in both time and inconvenience. From finding loose connections in domestic, commercial or industrial appliances that could be overheating to potentially prevent costly shutdowns of production lines through unplanned maintenance. The thermal imager also suits itself to finding leaks in pipework, within walls, roofs or ground. Phone now for a free no obligation quotation.